"Carlos Morales' expose on Child Protective Services is absolutely essential information for parents and activists to understand. We need more people liken him in the world. " "Carlos Morales is a God-send to parents in need of help. His work saved my family in court, and his analysis of Child Protective Services is revelatory. His work inspires rebellion and hope, and is necessaryfor every American to understand." Child Protective Services Whistleblower, Carlos Morales, exposes the dangerous tactics and overt corruption that he witnessed as a CPS investigator. Through keen insight, analysis, war stories, and interviews with attorneys & judges, Carlos Morales speaks truth to power in this shocking book. Unlike anything ever published, he breaks down exactly what families should do to protect themselves from this monolithic agency that has destroyed the lives of children & parents. Parents across the country have already used his legal recommendations and saved not only thousands of dollars on lawyer fees, but also protected the future of their family. 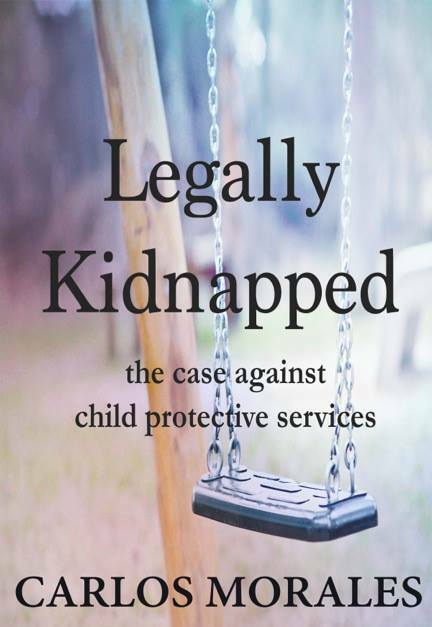 It is imperative that people understand Child Protective Services in order to save their families, and this book accomplishes that in a gripping and thought provoking manner.